But not everyone has someone to share encrypted email with. Find a friendly cryptopal right here. Discover someone who interests you from our list, get their email and public key (what's that?) by clicking on their Key ID, and send a greeting. Or offer yourself as a buddy to meet others encrypting. To practice critical skills for private data. To regain the romance of sacred communications and meet new people who care about online privacy. Share this with your networks and support the project. I am into embedded electronics, so totally talk to me about that if you like embedded C! I am into all kinds of music. I live in Canada, and I also write for Supplyframe Hardware (the people who own Hackaday). Send me an email! I'm using the enigmail plugin for Thunderbird, and I really want to use it more so I get used to it, and using its options to configure stuff. Looking forward to some encrypted comms! I'm cute, smart, intelligent, patient, fun, determined and a fast learner. I love reading, learning, studying, writing, playing, doing puzzles and basically anything that's fun. I also love learning languages and cultures. 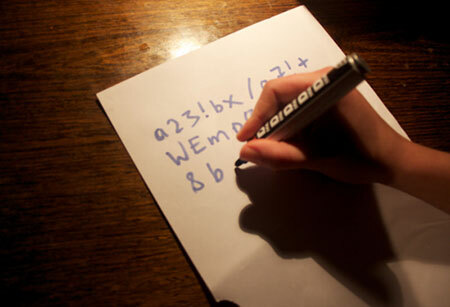 I enjoy breaking and creating codes and ciphers. I love learning new things on Cryptography as well. I'm very weak, sensitive and vulnerable. I'm a bit antisocial at times so please forgive me for that. I'm an 80% introvert so I look for the inner heart and mind. I look for lifelong friends who are kind, understanding, caring, patient, innovative, motivated and aren't afraid of being themselves. I'm willing to be anyone's friend who wants to help me practice cryptography skills together. I need pen pal friend to talk too and shear life experience with. I am new to Crypto E-mails and I am looking forward to talking about a lot of different things. About me: I am 34/m Looking for intelligent conversation. I love computers and internet and love learning as much as I can about the secrets that are around the internet. This website, science-fantasy, old British television theme tunes, the abstract underground, architectural innovations, love, philosophy. How do you spread word about privacy, identity protection and various technical and organizational means to acheive this? Everything. Food, sports, travel, programming. Anything worth talking (perhaps writing) about. Computers, programming and cryptography (obviously) and also learning spoken languages and travelling. Ask me about Bitmessage or if you already know about it contact me on BM-87XpRY4174X5gr3qCND4tr1Fe4SxvB6ZTrh.